Keywords are mighty important here at Wacktrap. They play a big role in helpin’ that handy Search bar we’ve got work right, and most efficiently for you. They're simply the terms describing the most important stuff that you, and other members, are lookin’ for: they'll help you find the most relevant stuff you're searching our at Wacktrap. Examples include a specific company name, an industry (i.e., 'Credit Cards'), or terms having to do with an industry or topic (i.e. , 'Interest Rates'). It's important to use the right keywords, for the absolute best results. And that's gonna help everyone else find your wacks easily too. 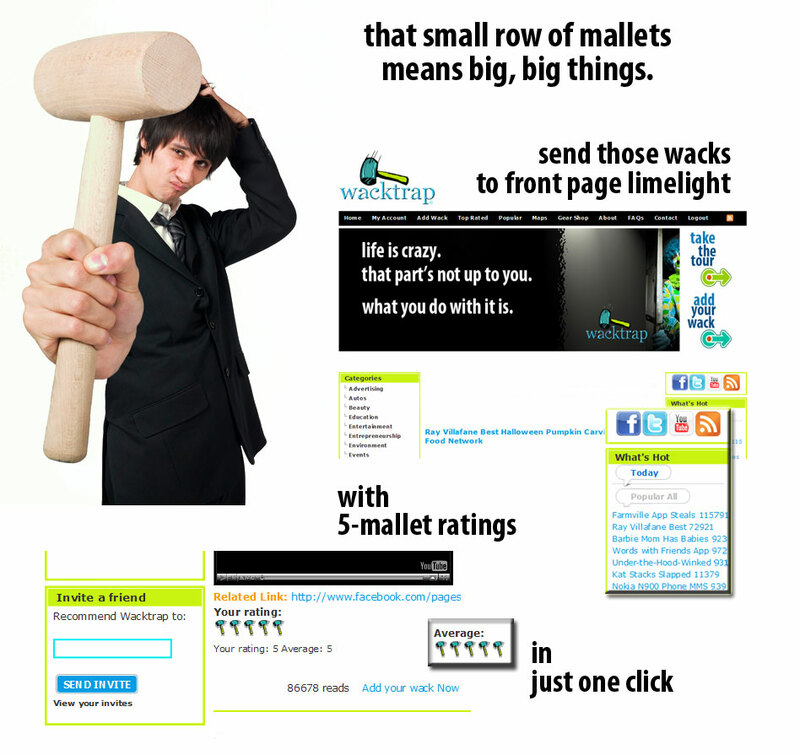 When utilizing the best Keywords, your wacks will naturally rise to the top, where more and more people will be able to see 'em, give your wacks a 5-gavel rating and Comment on your wacks. When members find you easily, you just may find your wacks featured, basking in the limelight of our front page-for the world to see. To get the Search results you want, you’re gonna plug in those terms specifically related to topics or companies. And the more specific those terms are, and the more relevant Keyword terms you include in your Search (i.e., 'Credit Cards Interest Rates'), the more narrow and specific the results. Using the right ones means you're not weeding through all those extras, the things you're not lookin' for. The results, for terms like ‘Credit Cards Interest Rates,’ will be fewer but will also be more relevant than using only the terms ‘Credit Cards’ or ‘Interest Rates’ alone. To seriously narrow your Search using keywords, include the actual company name before the terms ‘Credit Cards Interest Rates.’ You'll receive narrowed results pertaining to Credit Cards Interest Rates as they relate to that actual, specific company.